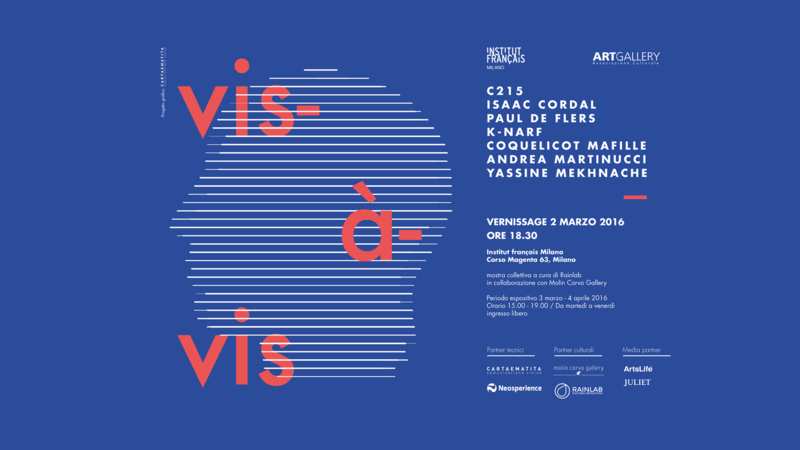 We are pleased to announce Vis-à-vis, the new group show curated by Rainlab! The exhibition is organized by ArtGallery Milan and Institut français Milan in collaboration with Molin Corvo Gallery. Vis-à-vis is an expression that lends itself to many interpretations, but, before any possible semantic escape, refers to the idea of ​​comparison and conceptual proximity to the relationship between different subjects. Within Vis-à-vis the artists showcase their point of view on concept of the comparison, deciphering the dense network of everyday interconnections. Through the images the artists are capable of transforming chaos into cosmos, making understandable at least part of what outside artistic representation would appear only as a confused mix of elements. The comparison also, as well as being the key element of the representation, provides the opportunity to relate the artists through the variety and diversity of styles, techniques and colors. The public events and the intimate subjects affect and interact with contemporary art and seven talented artists face, assimilate and interpret the issues of today’s society through a process that provides the basis for the understanding of the macrocosm from a simple detail. On show C215, Isaac Cordal, Paul de Flers, K-NARF, Coquelicot Mafille, Andrea Martinucci and Yassine Mekhnache. For the show we have created a free app! 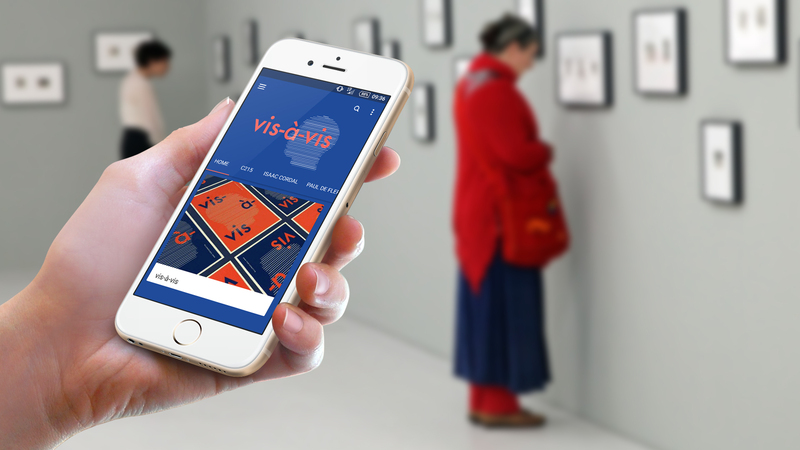 You can find it in the stores as “Vis-à-vis” and you can use it as your personal guide to the exhibition!